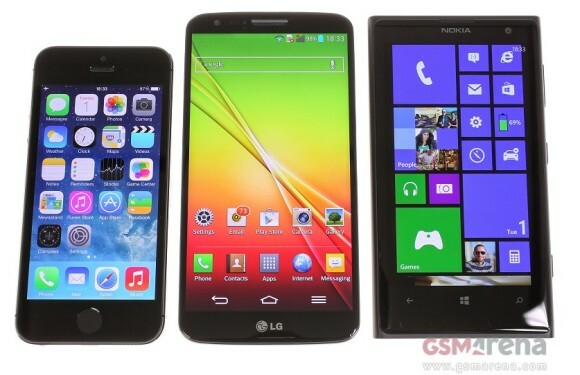 The Global smartphone shipments hit 266.9 million units in the first quarter of 2014, according to a report from market researcher TrendForce. The three month period, starting from January to March, saw a rise of 1.13% compared to the same period of the previous year. The research firm is predicting the smartphone shipments to climb another 6.7% to reach 284.5 million units globally in the current quarter, which runs from April to June. Samsung, the global market leader managed to claim the first spot with a 30% market share of global smartphone shipments. According to TrendForce, most of the units shipped by Samsung were low to mid-range smartphones in the first quarter. Apple has seen a noticeable decline in its worldwide market share but has managed to retain the second spot. However, the Cupertino's upcoming iPhones is expected to help the company gain momentum in the second half of 2014. Chinese smartphone vendors - Huawei, Lenovo and Xiaomi have raised their game and have performed better than the analysts have initially predicted. All three firms have experienced growth of more than 20% in the first quarter this year. I agree that Note 3 is the best phone made in History, but I don't agree that it beats S5 in specs but it will beat it in everyday need of a phone. I've been using Iphones, Nokias, Sony and many other phones. The best phone I've ever used is NOTE 3. One more time: Where is Nokia ?? ?